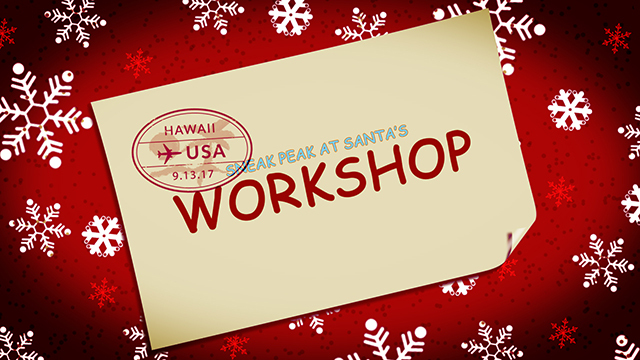 Check out Santa's Workshop while he's vacationing to get an inside sneak peak at what's in store at Displays2go this season. Showcasing magnetic gift bows, holiday themed flags, and printed signs and posters. This is just a small portion of what is being offered. Take a look around and peak your interest for your business this holiday season! Ho, ho, ho! Oh, I didn’t see you there. So what do you want now!? Let me guess! It’s that time of year again and you’re looking for some Christmas accessories already. You couldn’t wait a few more months!? Go check out Displays2go. They’ve got all the decorative bells and whistles for your business needs. They’ve got Printed Signs and posters, Giant magnetic gift bows, Holiday themed Flags, and much, much, more to come! So quit bothering me and shop Displays2go! Now let me enjoy the rest of my vacation. I’ll see you in a couple months.